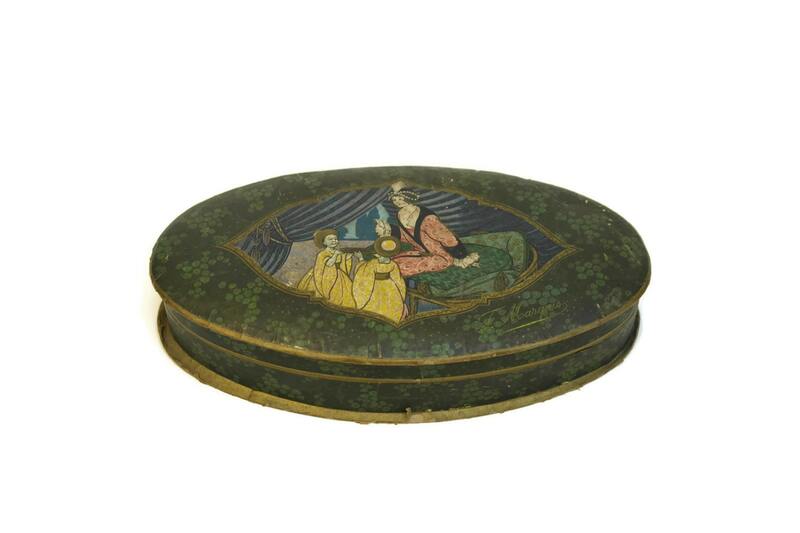 A delightful French Art Deco bonbon box dating from the early 1920s. 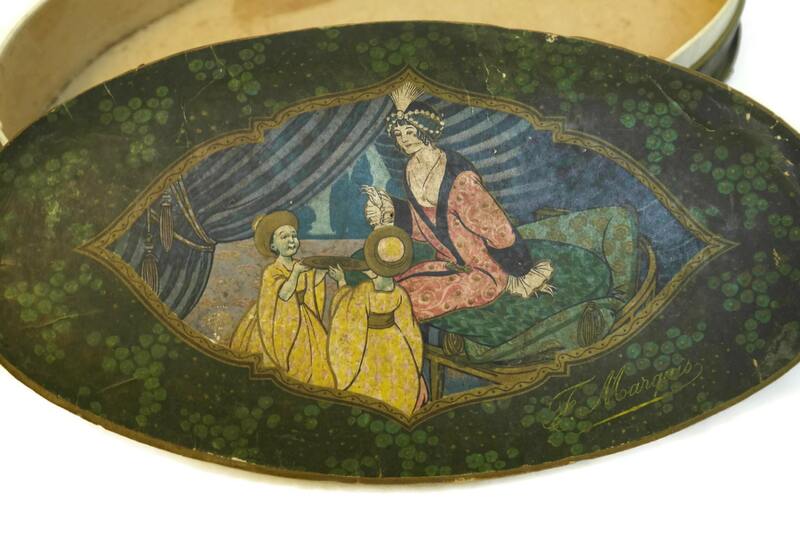 The oval-shaped box has been made from card and paper that has a chromo image of an exotically dressed woman selecting a chocolate offered by two children. 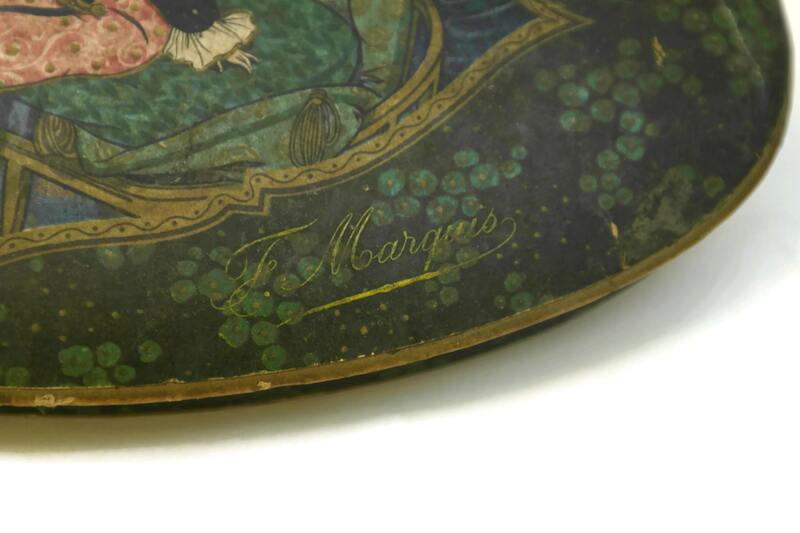 The base of the container features the name of the chocolate shop "F. Marquis". 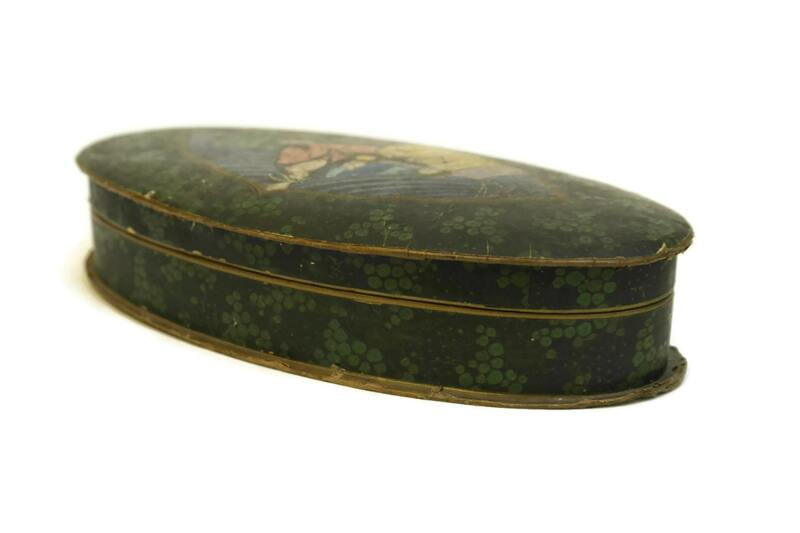 (22 cm x 5 cm x 11 cm). 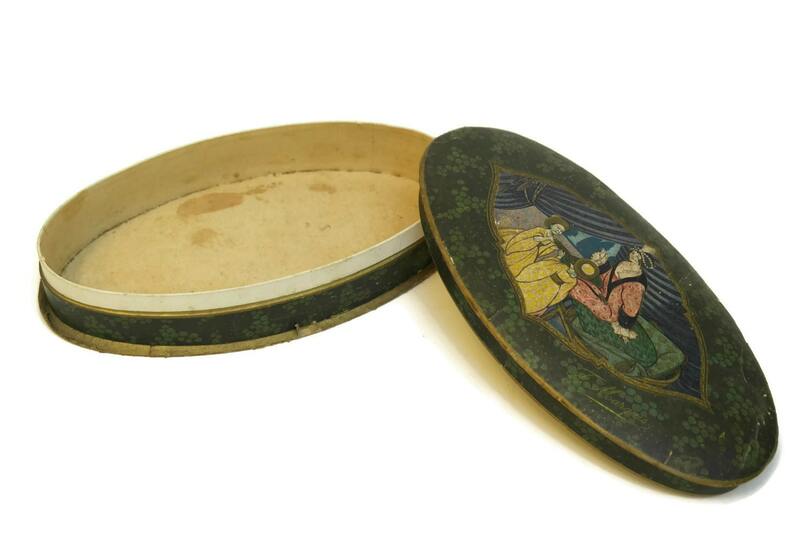 The antique box is in fair to good condition with age-appropriate wear and signs of age including marks to the interior and wear to the paper and card.